Payment provider VeriFone (s pay) is doubling down on the small and medium sized market with a new payment open platform called SAIL that will look to give merchants a more flexible tool for conducting transactions. SAIL, which comes with its own mobile payment dongle, also puts more big name pressure on Square, which has been an early leader in mobile payments for small businesses. The SAIL platform, which was developed through VeriFone’s purchase this year of ChargeSmart, is designed to allow merchants to integrate their own payment or marketing systems along with the ability to tie into third-party loyalty, marketing and social media tools. The service offers a secure gateway for end-to-end encryption, real-time fraud screening, onboarding APIs and processing and settlement services. 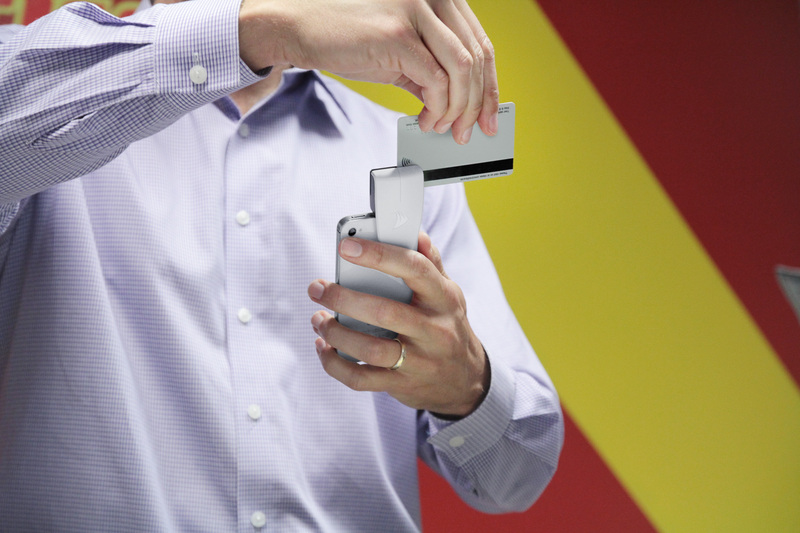 Like Square, SAIL includes its own credit card swipe dongle for tablets and smartphones. But VeriFone is offering two different pricing plans including a flat 2.7 percent fee for swiped transactions and 1.95 percent fee for higher volume accounts that subscribe to a $9.95 monthly subscription. Square currently offers a flat fee of 2.75 percent for swiped transactions. With SAIL, businesses aren’t confined to using smartphones and tablets. They will also be able to hook into traditional point of sale hardware, which will help merchants that want to support new standards like NFC and EMV. With SAIL, VeriFone is going beyond what it used to offer with its PayWare product. One example is better integration with social networks, so email receipts can now include links for services such as Twitter, Facebook and Yelp. Merchants can use the mobile apps to scan barcodes on products for quicker check-out. There’s also a dashboard for tracking transactions, bank deposits and inventory. And the on-boarding process is simpler now, so businesses can get up and running almost instantly. The SAIL application is available initially on iOS (s aapl) devices and will be available on Android (s goog) later this month. SAIL presents a second chance for VeriFone in the small and medium-sized business market. While PayWare has done fairly well, SAIL gives VeriFone a much more comprehensive and competitive product to offer businesses with more flexible pricing than Square. And with its open nature, SAIL can continue to evolve and give businesses and developers a way to use the platform in a lot of ways. That’s one of the questions I have about Square: will it ever open up and become more of a platform, or is it going to try to create all the tools in-house? Between SAIL and PayPal HERE (s ebay), the new payment service for small businesses, we’re seeing a lot more competition emerge in this market. That reflects the big opportunity to help small businesses use more modern payment technologies and use some of the online tools that ecommerce retailers have had at their disposal. Square is still likely to continue growing especially with very small businesses and individuals but as these bigger rivals arrive, bringing in a wide array of services, it’s going to be harder for Square to move up market. Hi Ryan, I still feel 2.75% is a bit too much for a rate, and I don’t get subscribing to get the 1.95%. I am still looking for another provider I can use now. I was able to find one, they call it mPowa (www. mpowa.com), but it hasn’t reached the market yet. Please write an article comparing it to the other service providers. Thanks! Funny you mention mPowa. I am moving back to the UK in a few weeks and looked around for other card reader options and I did stumble upon their site. If I am not mistaken, mPowa will only charge .25% per card transaction. Very promising indeed. Square have disrupted an enormous market space. Paypal and Verifone are following in their footsteps with nothing new. That said clearly this huge space will be filled with many players. POS or point of sale has many many vertical markets and these big players with their simple apps cant possibly fill it. To that end sail is promising an API to allow smaller start-ups to use the simpleness of the ease of sign up to credit card services, as this clearly is what is fueling this trend. Many new stores and business’s like the ease of entry that square offers. But clearly once on board they see the need for more defined apps that fit their model and vertical market. Disclosure: I work for Tillify.com. We build mobile payment apps for Android, IPad, Mac and PC. Like square, Paypal and sail we allow you to accept payment and run your business using a mobile device.